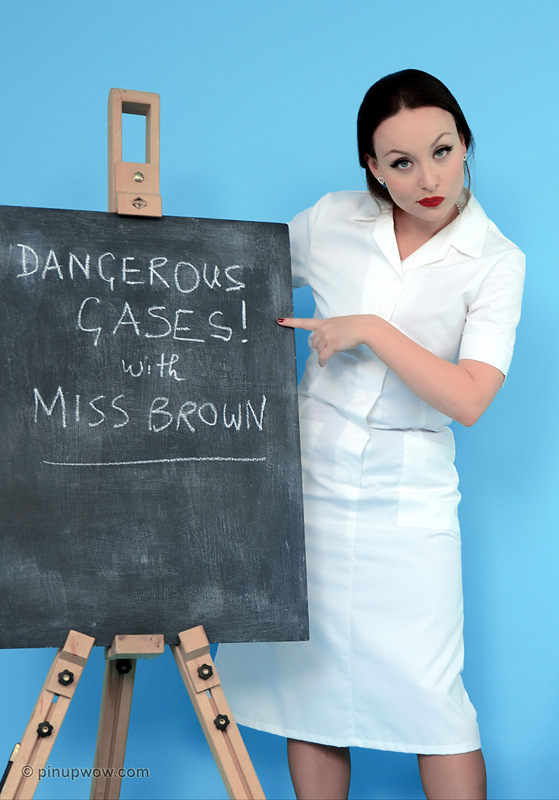 Gorgeous Chemistry Teacher Miss Brown is ready to instruct her students in the safe preparation of a very dangerous gas. Safety goggles are a must. But what’s this? Has Carla made Naughty Gas by mistake!